The Hawkeye Adds is a fabulous cash machine. 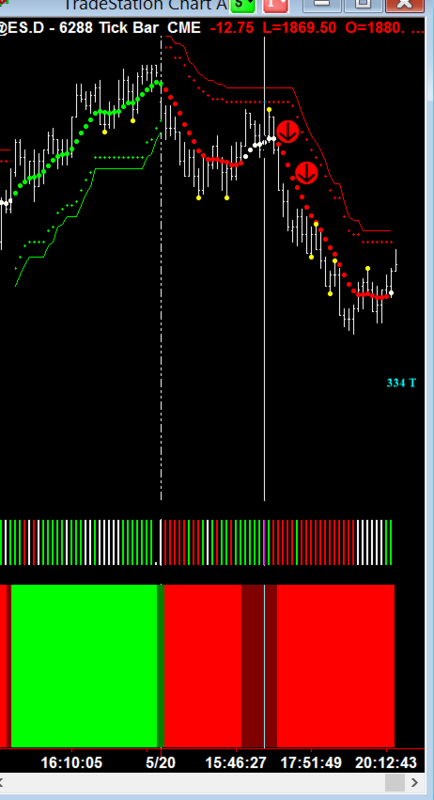 It tells you visually when and where to add additional contracts, once you are in a trending market. There was a powerful downtrend on Tuesday 5/20/14. You can see it on both the fast chart above and the slow chart below. How? Just take a look at the trend dots pushing down. Hawkeye Adds tells us to add contracts to our position (shown by the yellow numbers above). 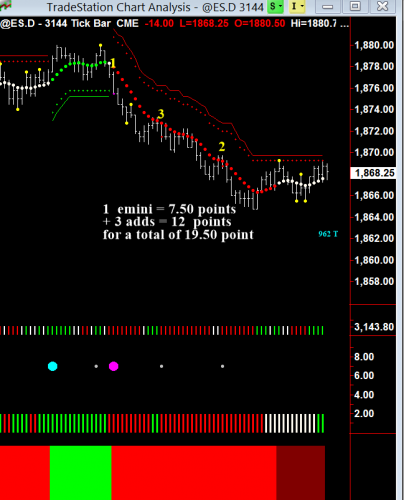 1 is our first entry, then Adds tells us to add 3 more contracts as the trend continues. Finally it tells us to add a further 2 contracts. BUT remember our intraday rule: only add to your position once. 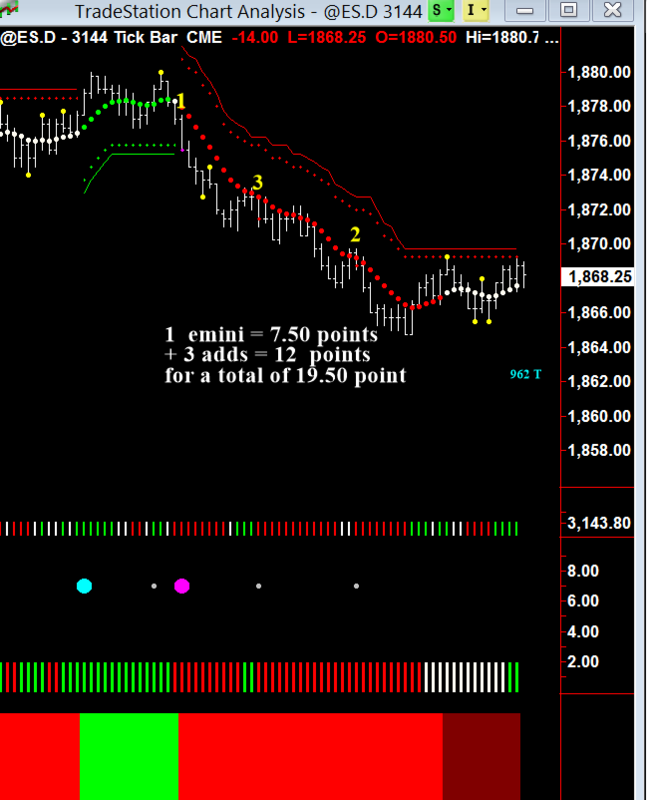 Knowing when you are in a strong trend resulted in taking 19.5 big points from the Emini instead of 7.50 points using just one contract.